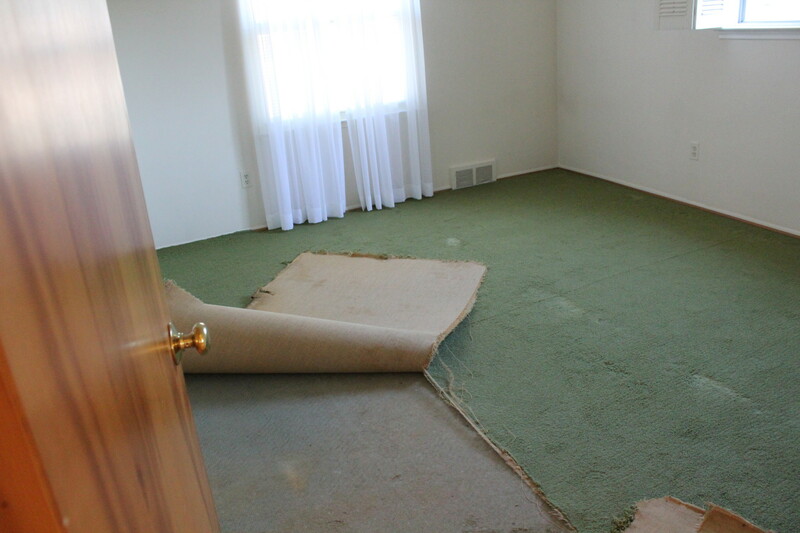 Besides being covered in wallpaper, our house was also covered in OLD, OLD carpet. Even green carpet.. GREEN carpet! Josh was very eager to start ripping it up. In fact, I think that was one of the first things that he started doing once we got the keys. 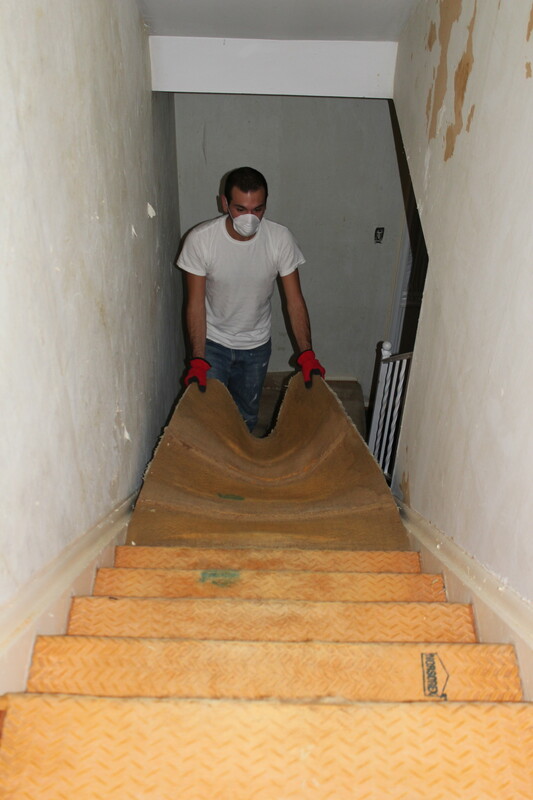 What we found underneath confirmed our thought that this carpet was OLD.. every inch of padding found underneath was disintegrated. We couldn’t even lift it up to take out to the trash, we had to sweep it up and bag it up. 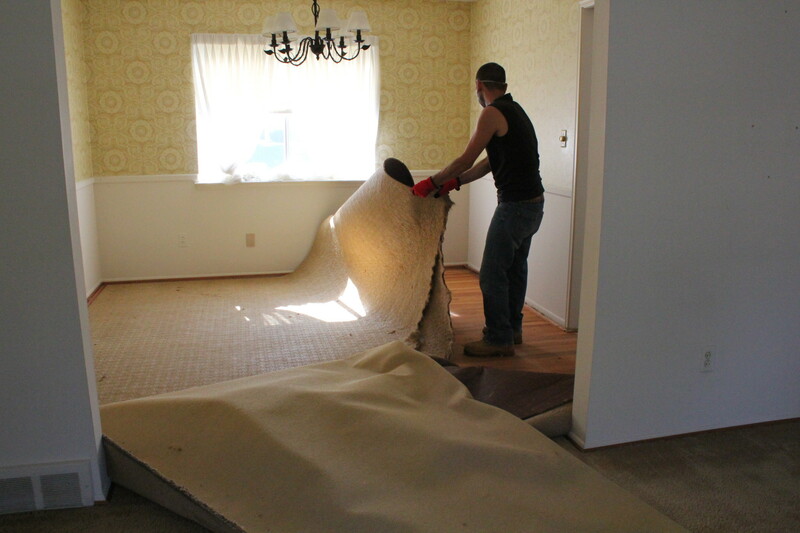 We removed carpet from the dining room, living room, stairway, upstairs hall, 2 bedrooms and the master bedroom. 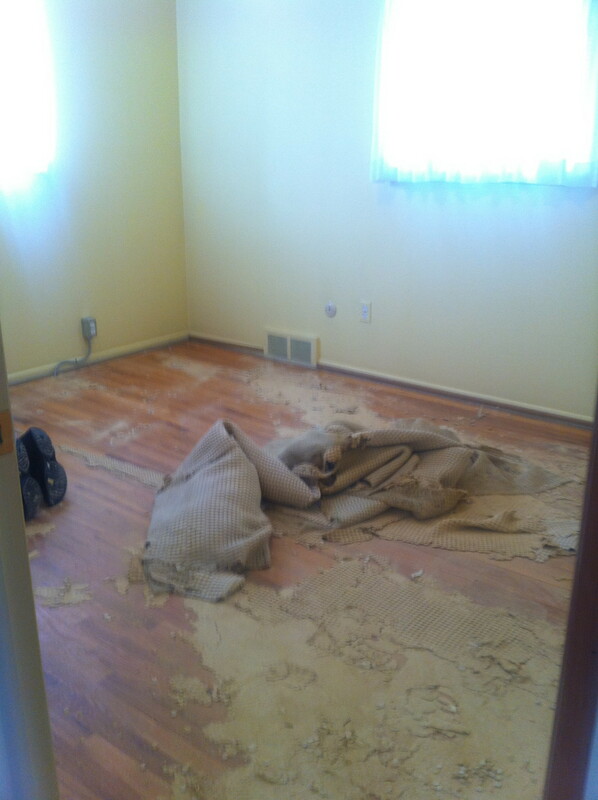 We were so pleased to find hardwood underneath the nasty carpet and padding. 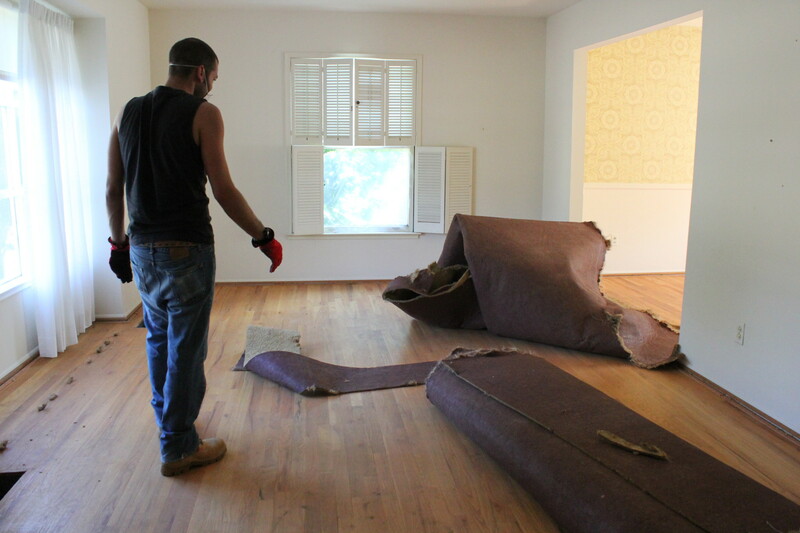 We later had some areas re-carpeted and others we had the wood refinished (more on that later!). Needless to say, our trash pile was large that week!